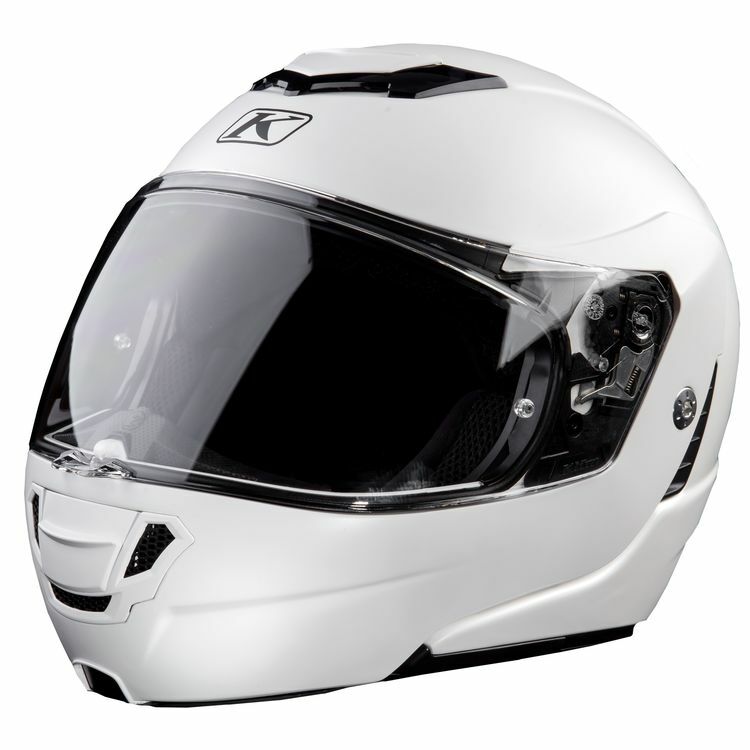 The revolutionary Klim TK1200 Modular Helmet sets a new standard for touring comfort and convenience as one of the lightest, most feature-packed modular helmets ever created. Where modular helmets are typically heavier and noisier than full face, Klim has rejected these conventions and engineered a helmet with the convenience of a modular design without sacrificing a quiet and comfortable ride. The Intelligent Ventilation is balanced by engineered Aero Acoustics for an experience that provides both a quiet ride and good airflow. Complete with a Transitions face shield and pinlock lens for clear vision in any conditions, the Klim TK1200 Helmet is ready for anything the road may dish out. Note: TK1200 has a narrow neck roll opening and snug cheekpads to occlude noise, neck roll will break in by about 5%, cheekpads by 15-20%.